Nathan Sceberras is using digital advertising to transform buses in Melbourne’s eastern and south eastern suburbs. 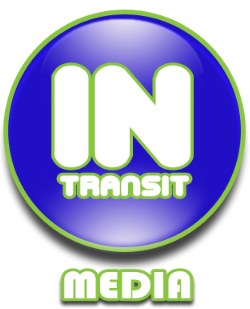 In Transit Media (ITM) sells digital advertising inside public buses that allows ads to appear on a small screen as passengers pass the actual premises. Nathan has taken the concept, which started overseas, to a new level using GPS technology. For example as a bus drives past a fast food chain, an advertisement may appear on the screen for it. Thanks partly to advice from the Small Business Mentoring Service, Nathan hopes to consolidate and expand his innovative project. Nathan started ITM in 2006. With a background in hardware integration and software development, his extensive research had identified a need for a business such as ITM. He started working with a business partner, but now runs the business himself with the business partner as a director. ITM’s customers are mainly small businesses with a focus on retail, councils, hospitality and education. “We mainly sell to local small business in the catchment area,” Nathan says. The business has an edge on its larger competitors as Melbourne’s only in-transit advertising service that can match advertising to a specific location. Nathan heard about SBMS while talking with local councils and thought its mentoring services sounded helpful. He was then matched with mentor Barbara Anne Merrigan. Barbara Anne is experienced in the health care and management industries, after working as a nurse and in a range of management positions. She is now Director Bass Care In Home Nursing and Support Services, and practises as a Clinical Hypnotherapist with Barbara Anne Merrigan Pty Ltd. Supporting and encouraging further R&D to take the product to the next level. Nathan says because he is a sole operator they focussed on time management to ensure that he didn’t spend too much time on unimportant components of the business. “We discussed the best way moving forward with the business and how I can gain more time to develop the business further,” he says. Barbara Anne and Nathan also evaluated the need to employ an external sales team to engage new clients to develop an ongoing revenue stream, reducing the financial stress of being a small operator. Their goal was to find ways to ensure longevity and maximum profitability. Barbara Anne was impressed by Nathan’s product and its potential. She says he had a business plan but needed to consolidate. Since seeing Barbara, ITM enquiries are up by 10 per cent, sales and new customers are up by 10-15 per cent and profits by 15 per cent. As he works alone, Nathan says the mentoring has also helped improve his morale. “With the discussion of the business direction we have been able to secure interest from an external party to be able to develop our product portfolio further,” he says. Nathan was very happy with his mentoring but would also like to see more automation on the SBMS website to encourage return visits. “Prior to the meeting an automated form should be completed that will give a lot more insight to the business that you are about to mentor on,” he says.